by Bill Dwight on Thursday, December 08, 2016 at 2:46 PM | LEAVE A COMMENT! 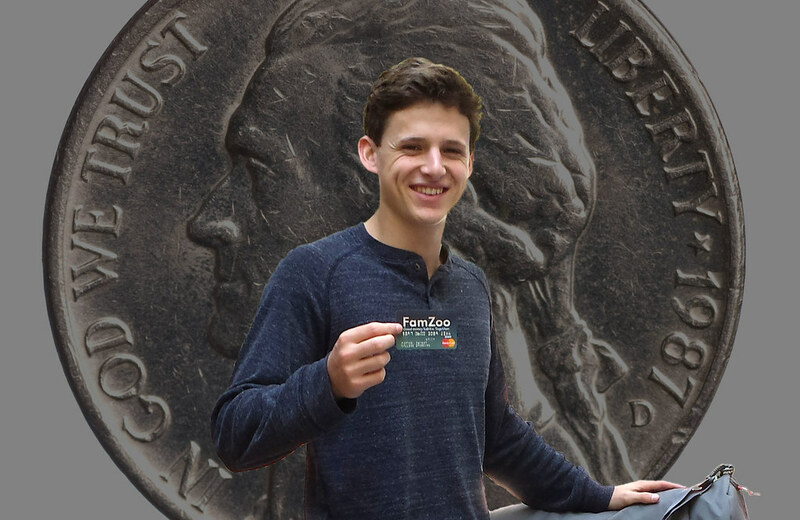 On November 11, the venture-backed youth prepaid card startup, Nickel Labs, announced it was folding up shop. As of December 11, 2016, families will no longer be able to use the Nickel cards or services. I’m saddened to see them go. Nickel was clearly a thoughtful, mission-driven player in the youth prepaid card space. They garnered some ardent admirers during their brief run. The youth financial literacy market needs more earnest players like Nickel, not fewer. Nickel didn’t indicate why they’re shutting down, but as a 10 year veteran in this space, I can tell you it takes (borderline insane) dedication to the mission and tremendous patience to build a business. It’s a fledgling, yet — I believe — promising, market. It simply may not be sufficiently ripe for venture-backed startups (like Nickel) or established players (like PayPal with their recently defunct Student Accounts). Yet. Timing is everything in new markets. Lots of runway and patience sure helps. Mobile Access Yes. iPhone app, mobile Web screens for other smartphones, and text message access for any text enabled phone. Yes, but iPhone app only. Spend, Save, Give Accounts Yes. Any number of accounts per family member in each of the three categories. Almost. One spending account and one savings “pocket” for each child. Automated Allowance Yes. Any number of allowances per child (e.g., a weekly entertainment allowance plus an annual clothing allowance for a teen) with allocations split between any number of accounts. Yes, but just one allowance per child with one split allocation option to the savings pocket. Chore or Odd Job Charts Yes. Parents can define checklists with repeating items that include rewards or penalties applied to one or more accounts. No. Parent-Paid Interest Yes. Parents can encourage saving by paying a parent-defined interest rate on any account. Parents can define an optional cap on the amount of interest paid. Yes, but only available for money held in the savings pocket for over 30 days and with one system defined cap equal to the allowance amount. Money Requests Yes. Kids can submit money requests. Parents receive a notification and can approve, partially approve, or deny the request with a couple of clicks or taps. No. Reimbursement Requests Yes. Kids can click or tap on a payment to request a reimbursement. Parents receive a notification and can approve, partially approve, or deny the reimbursement with a couple of clicks or taps. No. Automatic Family Billing Yes. Parents can set up an automatic recurring debit on a child’s card. It’s an easy way to charge your child for a portion of a recurring shared family expense — like a share of the family cell phone plan. No. Loan Tracking Yes. Parents can set up IOU accounts to record and track repayment of informal loans made to kids — often for big ticket items like laptops for school. No. Real-time Activity Alerts. Yes. Activity alerts can be set up for any card and copied to multiple family members. Every alert contains the remaining balance — a surprisingly simple yet effective way to stay on budget. No. Lock / Unlock Cards Yes. Parents can lock and unlock any card in the family from the app(lication). Yes. Detailed Decline Info Yes. Family members can see detailed information in the app(lication) explaining why any transaction was declined — not an infrequent occurrence when kids are first learning to handle a card! No. Card Usage Restrictions No. You can’t restrict where the FamZoo card is used. We rely on activity alerts to help parents curtail inappropriate purchases. Trust but verify is our mantra. Yes. Certain venues (based on standard Merchant Codes) are disallowed out of the box and parents can make changes to the restrictions. Card Loading A parent periodically pushes a pool of funds onto the primary funding card using one of several load options. From the primary funding card, parents move money to the kids’ cards instantly or automatically using the FamZoo app(lication). FamZoo never automatically pulls funds from a linked bank account. While admittedly less automated, this limits any potential financial damage or liability from card-toting kids run amok. FamZoo creates a little financial firewall between your main bank account and your kids. See a picture of how it works here. Nickel automatically pulls funds into its system from the parent’s linked bank debit card. Understanding how Nickel’s linked funding approach differs from FamZoo’s parent funding card model is probably the biggest adjustment for parents making the transition. Direct Deposit To Child Cards Yes. This is particularly handy for teens who land summer or part-time jobs. No. Card Balance Limit. $5,000 per card. * $1,000 per card. $5,000 total across all cards. Max Daily Load Limit $2,500 per card. * $1,000 per card. ATM Withdrawals or Cash Back at Point-of-Sale Yes. Includes access to a free nationwide ATM network. No. Supported Ages Any age for on-behalf-of cards. Parent Banking Status No restrictions. Must have bank debit card. Instant Online Verification of Cardholders Yes. Yes. Monthly Fee $5.99 per month per family or as low as $2.50 per month per family with the best pay-in-advance plan. * $5 per month per child. Pay-in-advance Subscription Discounts Yes. Substantial. * No. Replacement Card Fee None. * 1 free each year, $5 thereafter. Additional Card Order Fee First 4 free, $2 one time fee per card thereafter. * Extra $5 monthly fee per card. 24x7 Emergency Phone Support Yes. Call the 1-800 number on the back of the card. 9am-5pm Pacific. *All limits and fees are as of 12/7/2016. See the FamZoo Card FAQs for the latest info. Welcome Nickel families. We’re delighted to serve you. Just leave a comment below or contact us with any questions.